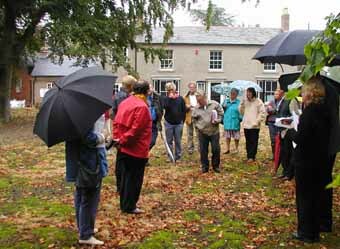 A site meeting was held on 9 September concerning the proposed development in the village conservation area including access onto Chapel Lane directly opposite the butcher's. 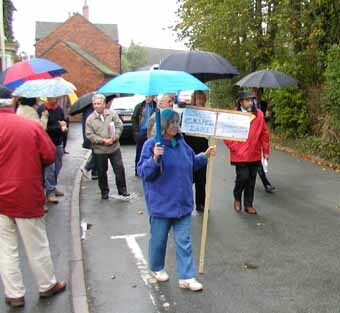 Protestors were out in force but were unable to ask questions due to recent changes in planning procedures. 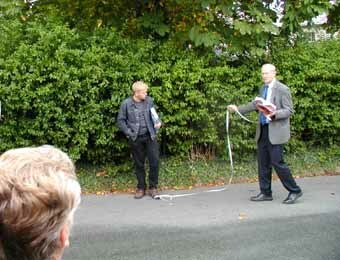 Wally Hodson-Walker was however there to represent the interests of Rollestonians and he along with other members of the planning applications committee asked the planning officer to show them the size and location of the access, queried the loss of trees, etc. Council planners recommended approval despite objections and the plans for the new house - using the same access already approved for the new garages at the Grey House - were subsequently passed later that day.